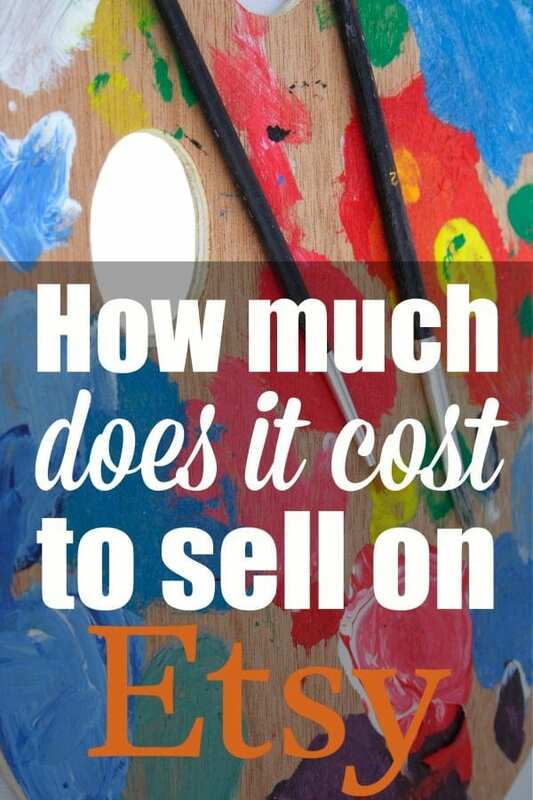 Home » Sell Your Art » How Much Does It Cost to Sell on Etsy? How Much Does It Cost to Sell on Etsy? 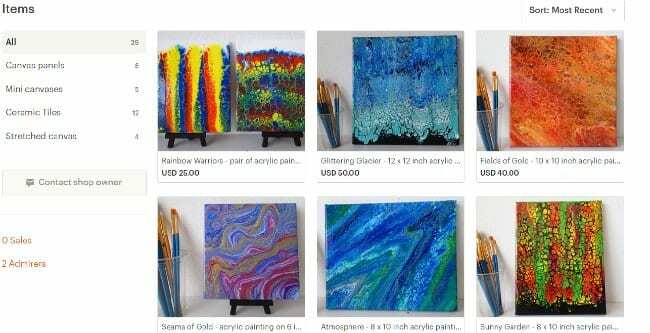 If you have been painting now for a little while and had some successes, you might be looking to sell some of your art and crafts to turn into some extra cash so you can buy more materials. Or if you've painted a lot and made some awesome artworks maybe you are aiming higher and looking to add to your household income with your art sales. Either way, you will need a platform to sell your art, and many artists and crafters choose Etsy. But how much does it cost to sell on Etsy? 2 - the PayPal fee. Your buyers will be making an online payment, most likely through PayPal via their PayPal balance or with a bank card. PayPal takes a fee for that transaction of 2.9% of the value of the transaction plus a flat fee of 30 cents per transaction. These fees are only payable if you make a sale. 3 - Etsy selling fees. Etsy will charge 3.5% of the selling price as their commission on the sale. This doesn't include any taxes or shipping costs. 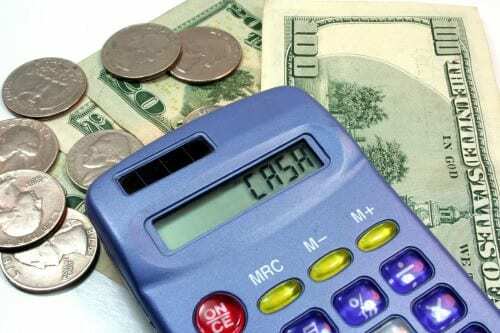 4 - currency conversion. If you accept Etsy payments and your bank account is in a different currency to that in which you make your sales (for example you list your paintings in USD but you have a Pounds Sterling Bank account in the UK), then Etsy will make a 2.5% charge for currency conversion when they make payment to your bank account. Because of the flat fees from Etsy and from PayPal, the fee percentages are slightly higher on lower priced items than on higher priced items. Should you choose Etsy for your online store? It's easy to set up and run the store. You will need to add a credit card to pay your store fees and then you can have your first item listed and ready for sale in just a few minutes. You would do best by setting up the store and then publicizing it to send traffic to your store through your social media, business cards and friends and family. Run the store as if it were your own website, promote it yourself, make it look good with great photos and graphics. If you just set it up and leave it, then you will struggle to be found. I had my first sale within 24 hours of setting up my own Etsy Store. I mentioned the new store on my social media and a colleague of my husband saw the post, went to the store and contacted me to buy a painting. I was so happy! It really made my day. Special offer - list 40 items for free! Thanks for sharing your knowlage and being so informative. Highly appreciated. It was exceptionally helpful.